When carpenter ants invade, they can do damage for years without detection. If left untreated, this damage can add up to big bucks. Carpenter ants cost U.S. property owners millions of dollars every single year. That is why it is vital to recognize the signs of an infestation. Carpenter ant issues often go undetected because carpenter ants don't have to raid your cabinets to get the food they need. They can find food outside of your home, while they do damage to your walls. That is why it is important to take notice if you see a single black ant crawling around inside your home. Carpenter ants send out scouts. You may see them every once in awhile. If you do, here's how you can identify them. Carpenter ants are usually black. But some have a dark red coloring as well. These are the largest ants you'll find crawling around in your home. A typical carpenter ant worker can be between 7 and 12 mm. If you look closely at the waist of the ant, you should see a single node between the thorax and abdomen, if it is a carpenter ant. When you find winged ants crawling on the outside of your windows, you should take notice. Carpenter ant swarms don't last long, or travel far. If you have swarmers on the outside of your window, it is likely that you have a mature infestation somewhere on your property, or very nearby. If you find swarmers on the inside of your windows, there is little doubt that there is a mature nest inside your walls. Sadly, many people don't realize this and simply clean the ants up. It is important that you recognize what is going on here. When a carpenter ant nest reaches its maximum population, it will begin to produce male and female reproductives. These are the winged ants we call swarmers. And swarmers have one purpose. Their job is to establish a new nest. That means your carpenter ant problem is about to become worse. Carpenter ant swarmers are an important warning sign that should never be ignored. Have a professional track your ant issue and locate the nest that produced those swarmers. Over time, carpenter ants will eat galleries inside wood. These galleries can cause support structures to weaken. When they weaken, doors and windows will become harder to open, floors will sink, walls will bulge, and ceilings will sag. Hopefully, before this happens, you will see carpenter ants on the surface of your walls. Unlike termites, carpenter ants don't work exclusively inside the wood they are damaging. Carpenter ants don't consume wood. If you have a large infestation of carpenter ants in your home, you're likely to see the sawdust these insects kick out of their tunnels. Sawdust from carpenter ants is likely to be in crawl spaces, in basement areas, and under external structures. The sign that usually has folks calling us is when a large number of carpenter ants find a food source. This might be a bowl of pet food left on the kitchen floor between meals. It might be an apple core left by a child behind a couch. It could be a box of food in the pantry that wasn't closed properly. There are many ways a food source can become available. When it does, and if the scout ants find it, you're not likely to miss it. But, before you vacuum all those ants up and clean the mess. You might want to get a professional to examine the situation and figure out where those ants are living. If you're seeing any of these signs, it is time to call a professional. Carpenter ants are hard to track and difficult to get rid of. What's worse, it can sometimes feel like a carpenter ant infestation has been fixed, even though it isn't. 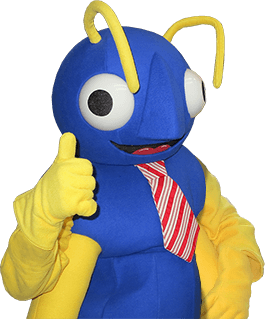 If you live in our extensive New England service area, let Big Blue Bug Solutions fix that ant problem. That way you'll know for sure that it's fixed. Reach out to us for immediate assistance.